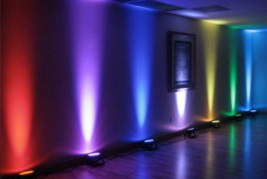 Add elegant and eye-pleasing uplighting to your room or event center. 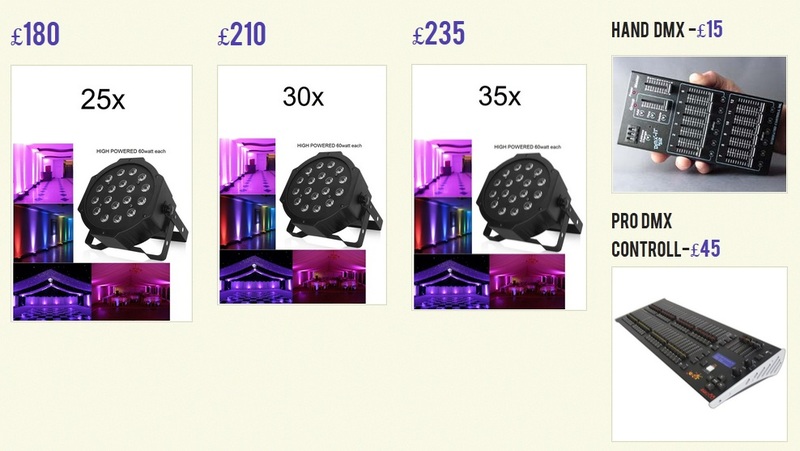 Uplighting that is shown up walls, columns or spotted onto a specific area will bring a beautiful and stimulating feel to your event – all to make it better! Uplighting can be placed on the floor to shine up columns, up walls or behind trees and other props to give that extra appeal. Very popular for the weddings. Is your eye attracted to one of these popular LED uplight colors? Just tell us the number for the sample you like. You can even pick two and we'll alternate them throughout your event. We can deliver set up and collect !!! We have in stock also a 90watt LED Uplighters. Contact us if interested.